How do abortion clinics escape the law? Time and again, these facilities are avoiding the most basic state health requirements to hold license to stay in practice. And it’s no surprise that they keep turning up in the news when something goes terribly wrong and they can no longer cover it up. Like the horror story in Louisiana. According to the Pennsylvania Grand Jury report that uncovered the chilling practices at Gosnell’s “House of Horrors” clinic in Philadelphia, the Delta Clinic is owned by Leroy Brinkley, who also owns Atlantic Women’s Medical Services, located in Wilmington, Delaware. Gosnell, who is facing the death penalty for allegedly murdering seven newborn infants as well as a former adult client, was employed at the Wilmington clinic, where he would sometimes work when not at his Philadelphia facility. They’re in the same business and profit together. At great cost to women, not to mention their aborted babies. Delta has been the scene of Gosnell-like practices for years, with massive state and federal regulation failures, botched abortions, including the deaths of at least two women, the use of unlicensed doctors, and extensive falsification of records – much of which has been frankly admitted to by the clinic. Earlier this year Louisiana Senator David Vitter wrote to Governor Bobby Jindal calling for an investigation into the facility, and possibly its closure. “Recent news reports connecting the Delta Clinic to the allegations being charged against this horrific abortionist in Philadelphia could justify shutting down the Delta Clinic, and we must take the appropriate steps to prevent endangering the lives of Louisiana women and children,” he said. However, despite the heightened public scrutiny of the facility in the wake of the Gosnell arrests, it is still business as usual at Delta. And just how many people are responsible for that? The question remains open in my mind, after pouring over legal documents I got hold of this week. Including an affadavit from a women who suffered horrendously from gross negligence and abusive treatment by clinic workers. It’s far more gruesome than this story can describe, but even this tells enough. “I tried to file medical malpractice against them, because due to the mutilation they did to me, I had to have a hysterectomy,” Jane Doe told LSN. 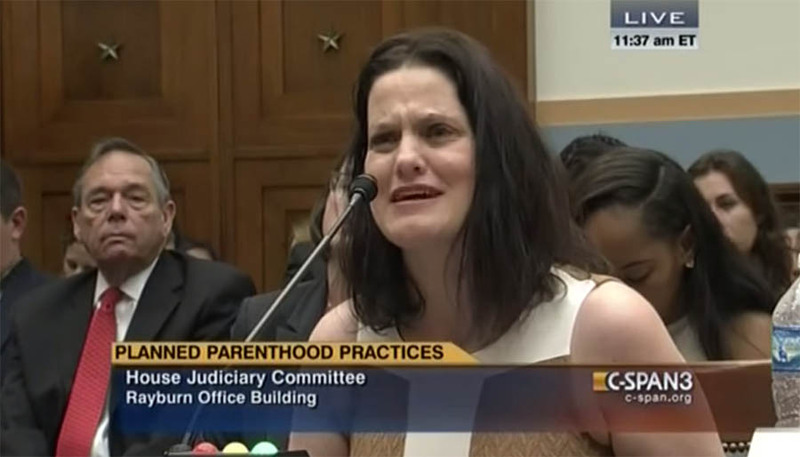 In a witness affidavit from April 2011, Jane Doe recounted the physical and verbal abuse she suffered at the hands of the abortionist and workers at Delta. Doe says she remembered herself and other clients being “herded like cattle” by “rude” workers at the clinic. During her D&C operation, Doe says she was yelled at and threatened physically by the abortionist and never given any type of anesthesia. Upon the request of Attorney Mike Johnson for the Holocaust Memorial, Louisiana Department of Health and Hospitals (DHH) conducted a thorough investigation of Delta in 2009. The result of the investigation was a 41-page Statement of Deficiencies. How do places like this stay in business? Where is the oversight? How did they get away with this? Most significantly, Delta was also found to have “fraudulently pre-printed all of its state forms … indicating there were no complications with any abortions”; Delta has admitted to the fraud. Pro-lifers say that Delta’s falsification of reports also means that the entire state’s records on abortion statistics for years past are grossly underestimated. “I live life every day in mourning that I wish I never had the abortion and grieve for the child I should be raising,” she said. And for every person like her, and her child who never had a voice, and the clinic that treated them so horribly, we have to wonder how many others are there?